Alternative fuels provider Trillium introduces a system for the trucking industry that combines power from the grid with on-site energy generation and storage to control fuel costs. With the announcement of two new partnerships, two new e-axle systems and the acquisition of two companies, the world’s largest manufacturer of fully automatic transmissions for medium- and heavy-duty commercial vehicles moves into electric propulsion. Swedish truck maker Volvo has adopted a holistic approach to electrification, autonomous and connected-vehicle technologies to burnish its sustainability credentials. The CityFreighter CF1 is a battery electric medium-duty delivery truck prototype with an ultra-low loading floor, keyless entry and sleek modern design to make delivery jobs easier and more appealing. 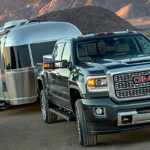 Commercial supplier Dana Inc. will offer a light-duty electric powertrain to equip Class 2 through Class 6 work trucks with up to 885 pound-feet of torque. 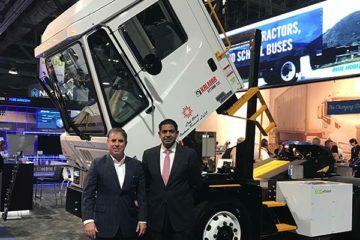 Meritor and TransPower have won a $17.1 million contract to make electric-powered terminal tractors for the California ports of Long Beach and Oakland. Daimler Trucks division Mitsubishi Fuso unveils a compressed natural gas Class 4 concept vehicle to tap into the growing CNG truck market. Lion Electric Co. unveiled what it calls a “Class 8 urban truck” at the Advanced Clean Transportation Expo in Long Beach on Wednesday. Daimler Trucks North America has decided to make battery-electric trucks its focus for alternative fuels, downplaying fuel cells and compressed natural gas. Penske will add six more DC fast chargers to the 14 already in operation at its Southern California leasing facilities before taking delivery of more all-electric trucks, including Daimler’s eCascadia and eM2. Charging-as-a-service startup Amply Power has calculated how much it costs per dollar to charge an electric vehicle in the Top 25 U.S. markets. EV Connect, operator of a cloud-based electric vehicle charger management system for motor carriers, has launched a certification program for station developers in a bid to standardize the industry.